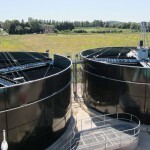 What are the #1 wastewater treatment priorities for most municipal and industrial facilities? Trickling Filters are a cost-effective, energy-efficient and reliable solution to almost any municipal or industrial wastewater treatment challenge. Not all wastewater management challenges are the same, and neither are the organisations that deploy wastewater solutions. There is no such thing as a standard Trickling Filter treatment plant. With plastic structured media, Trickling Filters can be configured to provide a very real solution to a wide variety of different bio filtration needs. 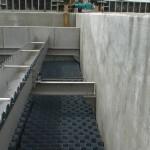 Choosing the most appropriate low fouling fill pack media for your customer’s cooling tower application is key to reducing the potential for fouling and consequent impact on both efficiency and long-term safety. 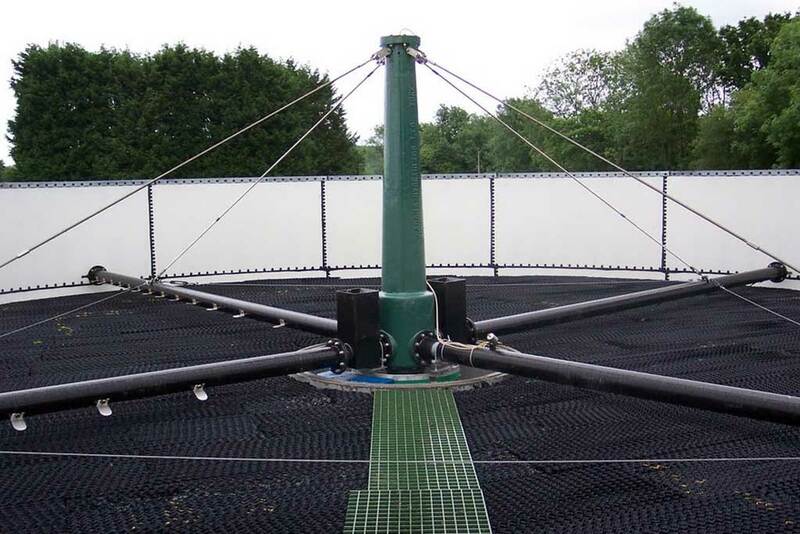 2H Water Technologies is the UK’s leading supplier of plastic fill pack solutions for process water cooling in wet cooling towers. We have the industry’s widest and most innovative range of fill pack solutions. In fact, there is a 2H fill pack solution for all water qualities in the wide variety of industrial and power generation applications. 2H product ranges – PLASdek, CLEANdek and Net 150 – provide the choice of wide range of different structures and surfaces you need to ensure optimum performance in almost every combination of cooling tower design and application. The Trickling Filter process is based on the biological oxidation of pollutants contained in the wastewater. The media in the Trickling Filter provides a surface for the growth of bacteria and other micro-organisms that feed on the organic pollutants in the wastewater, and then uses oxygen in the air to convert these into harmless by-products. 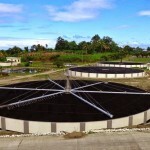 Trickling Filters can provide biological treatment of wastewater to reduce BOD and COD in carbonaceous systems, BOD and ammonia in combined carbonaceous and nitrifying systems and nitrifying filters to reduce ammonia. Originally using rock or stone media, Trickling Filters have proved simple to run, reliable, energy efficient and able to achieve successful treatment. The modern version of Trickling Filters uses structured plastic cross-flow media which works by a continual process of splitting, and re-splitting, the applied flow at each point of contact between the opposite downward sloping corrugations of adjacent sheets in each media block to produce efficient mixing. 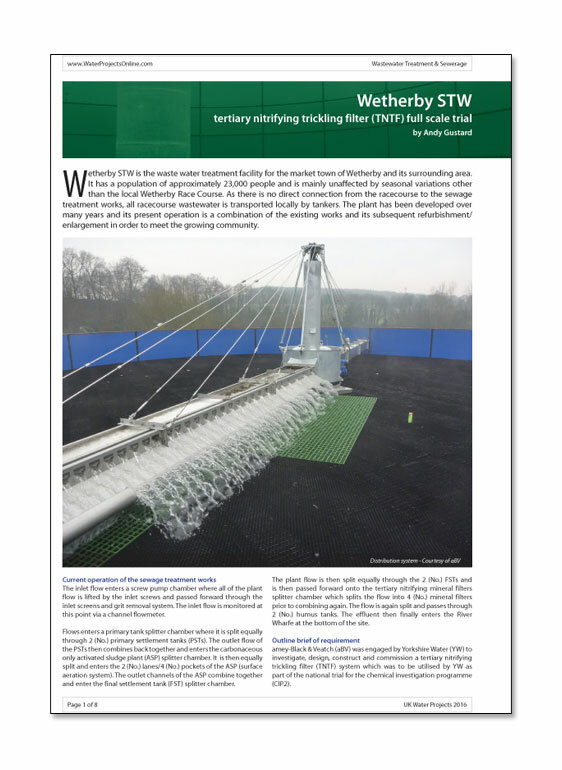 Trickling Filters built with structured plastic media can be designed to meet the increasingly stringent standards required for modern wastewater treatment works. 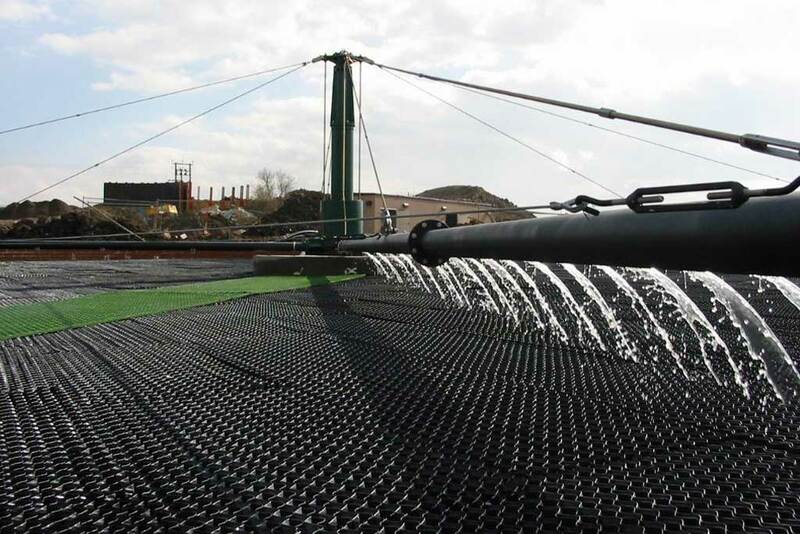 Plastic media can be used to create an ’add-on’ to an existing Trickling Filter and decrease the load during pre-treatment, when, for example, the capacity of an existing works has to be increased or the consent tightened. When a company is faced with tighter discharge consents or higher industrial effluent charges, high rate plastic filter media offers an economic, simple and reliable option for meeting these demands. 2H offers vertical flow media with optimised space and construction requirements compared to other processes. This type of media is more energy efficient and requires less supervision than other processes. With the correct design and configuration, Trickling Filters can meet wastewater treatment requirements for BOD removal, nitrification or denitrification.